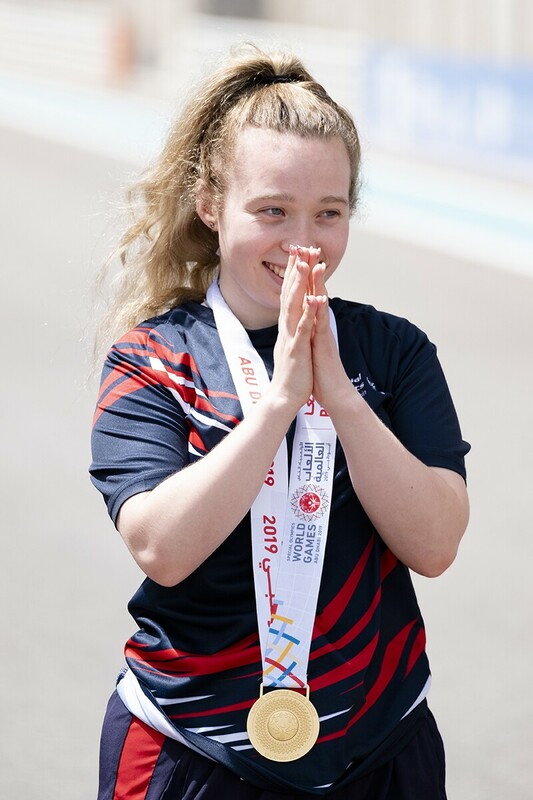 Kiera Byland wins gold medal for cycling at 2019 World Games. The 20-year-old athlete was first across the finish line in the women’s 15-kilometer Road Race Final held at Yas Marina Circuit. Kiera, who comes from the north-west of England, was delighted with her performance after completing the race in 24 minutes and 24 seconds. The Team GB athlete saw off competition from Germany’s Heike Naujoks and Spain’s Elena Hernandez to seal the victory. A delighted Kiera put her victory down to months of hard training and preparation ahead of the World Games. 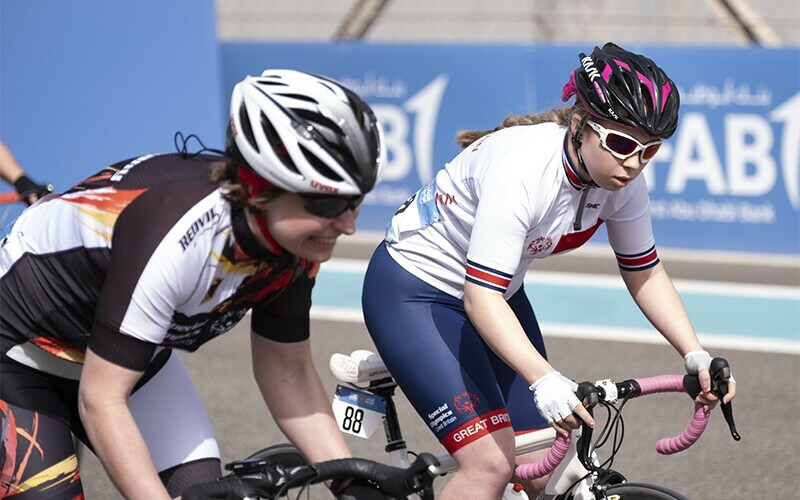 Kiera Byland (right) during cycling race in Abu Dhabi, UAE. “I said to my teammates ‘I hope I do really well in my first race’ and then, obviously, I’ve done really good,” said Kiera. “I just hope I can continue this in my other races because I’ve done all the training and put the effort in with help from my coach and my family. 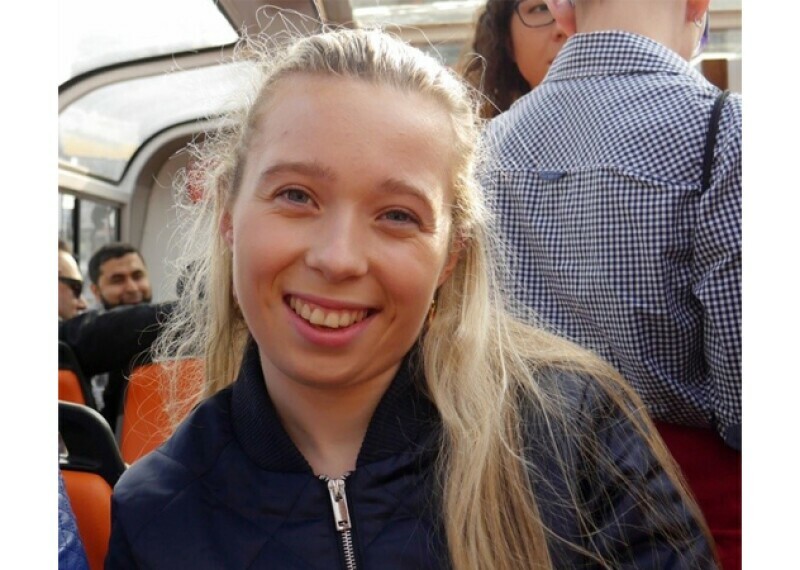 An experienced athlete leader, Kiera is formally serving as the Vice Chair of the first-ever Athlete Input Council (AIC) for Special Olympics Great Britain and as the Chair of the Special Olympics Europe Eurasia (SOEE) Athlete Input Council (AIC). Kiera will next race in the 25km Road Race on March 18, followed by the 10km time trial on March 19. Both races will be held at Yas Marina Circuit. 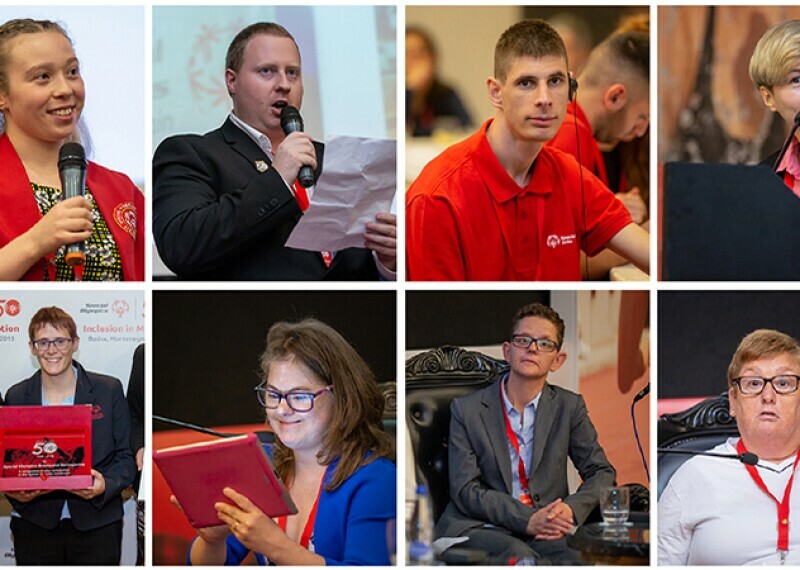 Some of the most iconic managers, coaches and athletes have come together to deliver the ultimate team talk ahead of the 2019 Special Olympics World Games in Abu Dhabi.